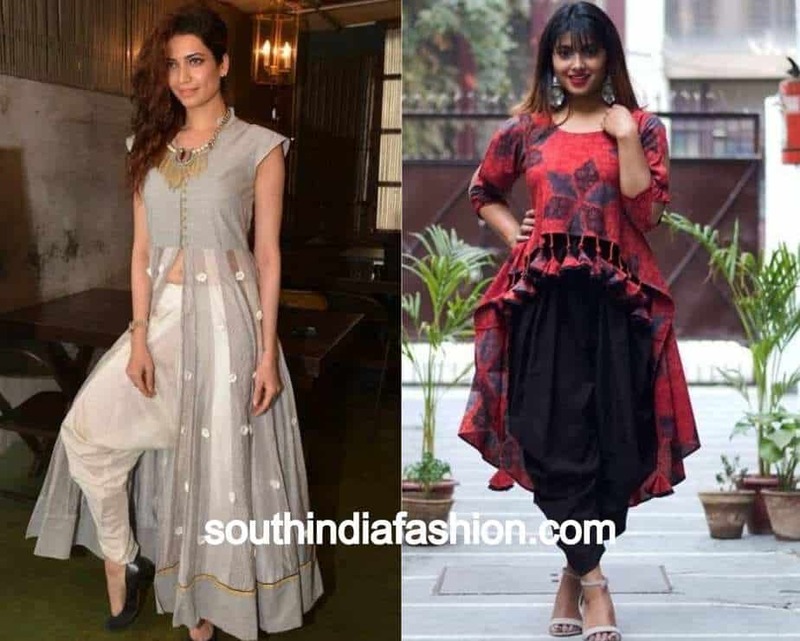 Eight Indo-Western Outfits You Got To Check Out For This Festive Season! 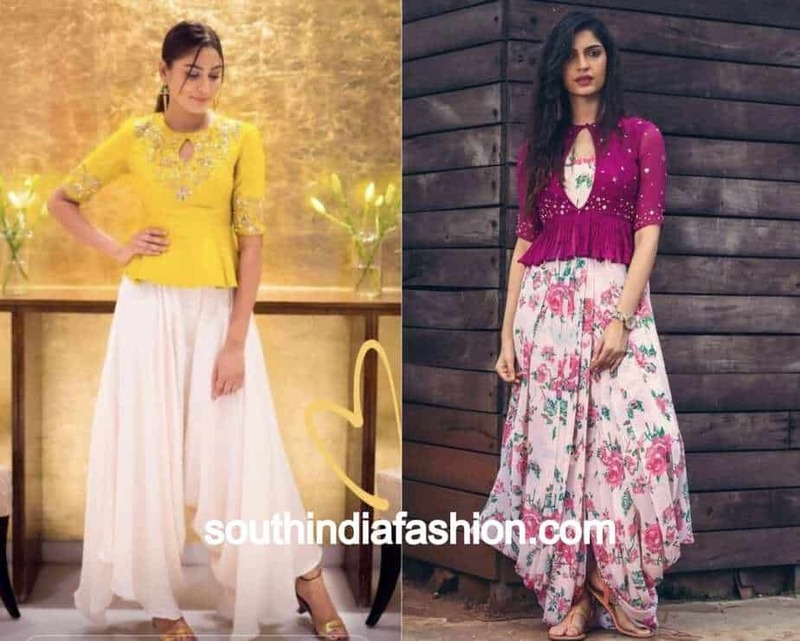 Fashion Trends Eight Indo-Western Outfits You Got To Check Out For This Festive Season! Gone are the days when we wore only traditional clothes for festivals. Today, we have a western version of everything desi. So, our humble ethnic clothes have been revamped and remade into something more comfortable and also trendy. 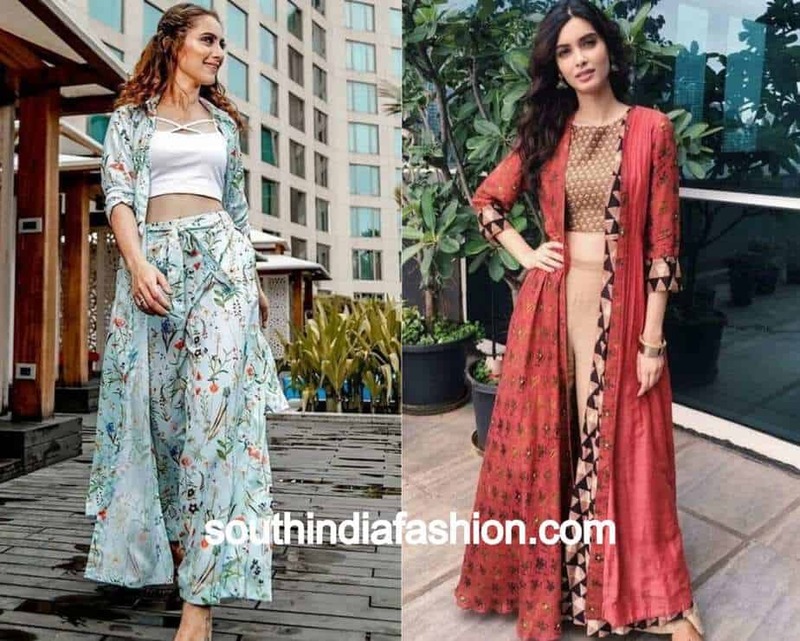 Let us look at eight such Indo-western outfits which will look absolutely suitable for any festive occasion. Everyone wears a lehenga with the dupatta, there is nothing new about it. With the dupatta, the lehenga almost looks like a saree. It is also difficult to carry off, especially if you have to walk a lot. 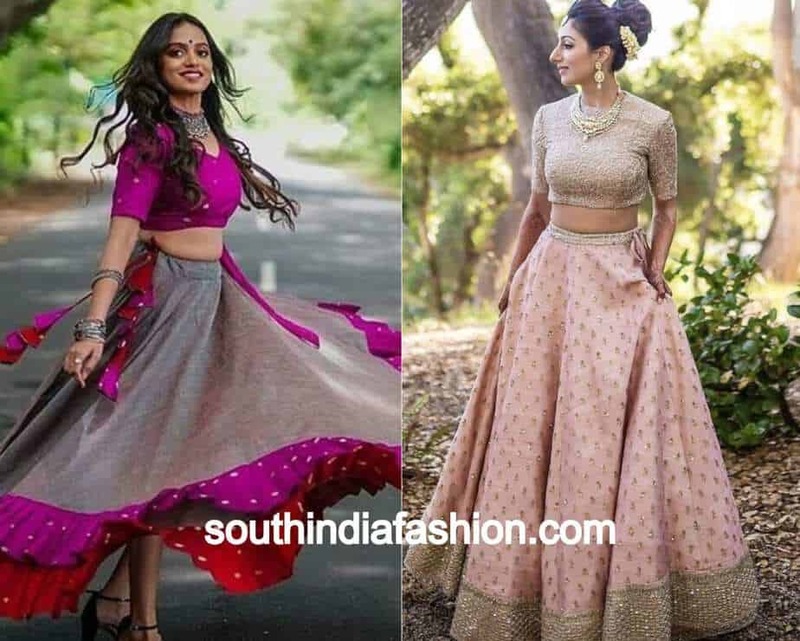 So, wear the lehenga just with the choli. Chuck the dupatta. It will look trendier and also is easy to walk around in. this outfit is good for any festivals, weddings and engagements. The flowing gowns of the west have been traditionalised by our desi fashion designers. 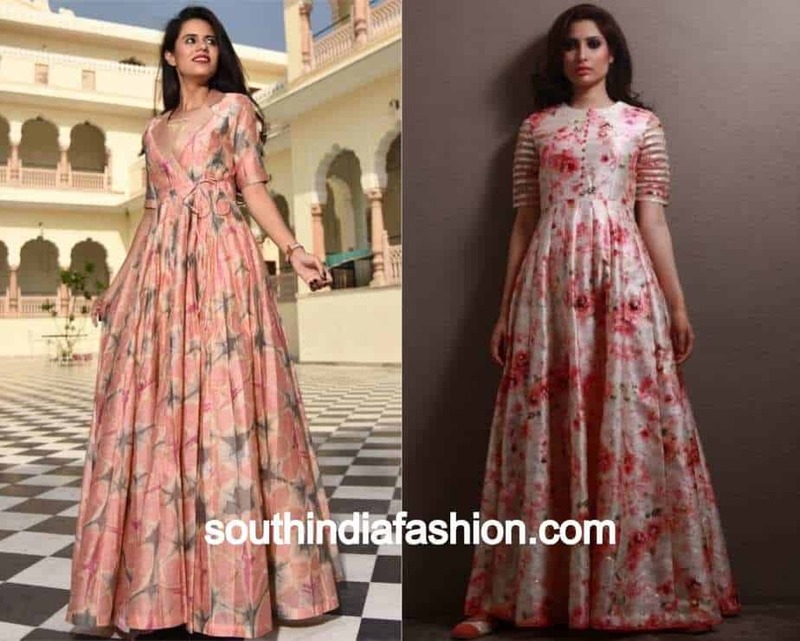 You can now get a desi version of a gown with Indian prints, embroidery and handwork on it. 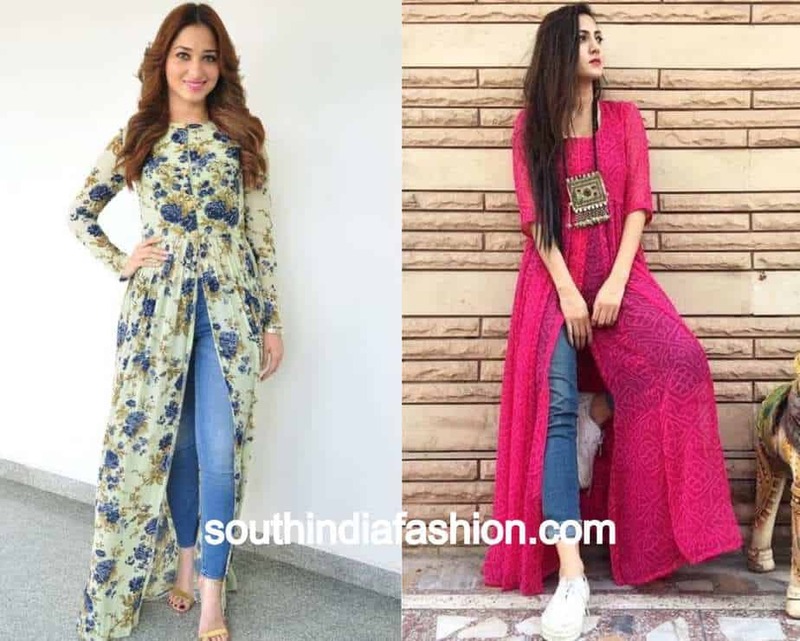 You can wear these desi gowns to any occasion be it a small party or a large event like a wedding reception. The dhoti pant is comfy and super cool. You can pair it with a peplum blouse which runs till your waist and is very hip. This outfit is suitable especially for the younger lot. The outfit needs minimal accessories and is ideal for small festivals and pujas. This one is the most comfortable of all the outfits. You get to wear your favorite jeans. But, as you will be wearing a long, flowing center slit kurti on it, the ensemble will look as desi as it can get. It is a good choice if you have to travel to reach an event as you can freely walk around and sit for long hours in this outfit. Wear some antique silver jewelry with it to round off the look of Indo-western outfits. A flowing long skirt that is semi western will look perfect when paired with a crop top. 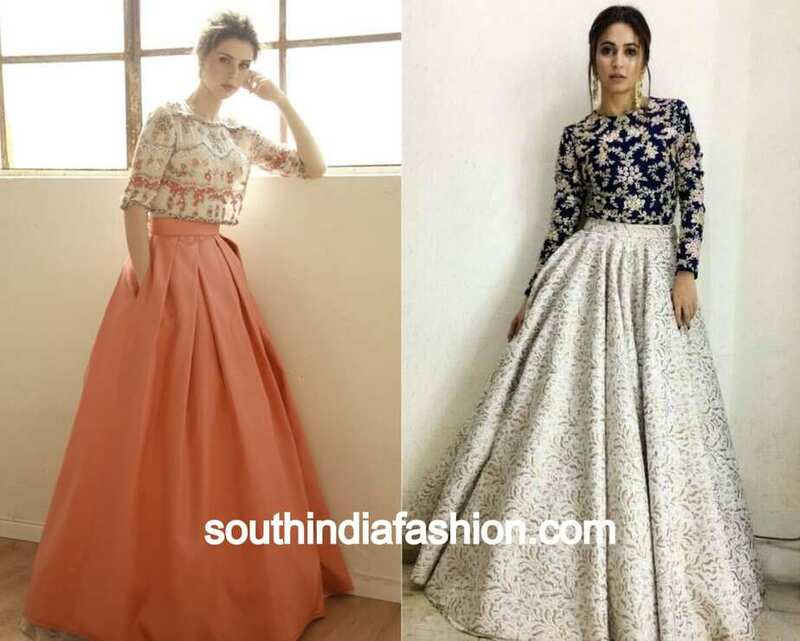 The long skirt can be very traditional with mirror work and embellishments. It can also be simple with just some desi prints on it. The crop top should preferably be of a contrast colour. Again, simple accessories are enough to complete this look. This is one among classy Indo-western outfits. Pair a palazzo pant with a matching or contrast top. To add fun to this outfit, you can wear a long jacket on the top. The long jacket can be plain or it can also have prints on it. It can be matching to the palazzo or in contrast. This is one modern look that doesn’t have any rule book to follow. 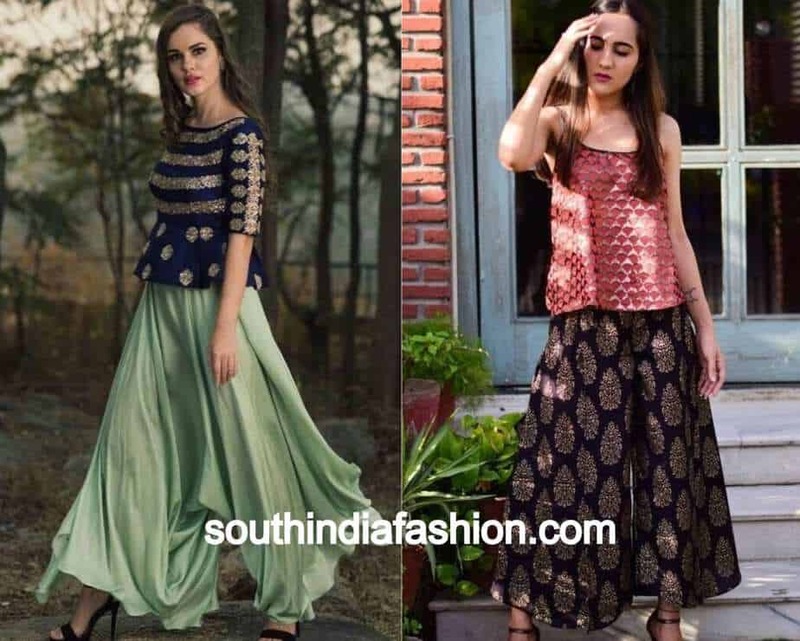 Large dhoti pants can also be paired with long tops or kurtis. This is a semi ethnic look that goes well for family gatherings, pujas and small events like mehendi and sangeet ceremonies. Wear antique silver jewels to look stunning in this outfit. Palazzo pants can also be worn with short tops. Printed or flared palazzo pants will look perfect when paired with contrast colored short ethnic tops. This is a simple look for young girls who love being casual event at festive occasions. Avoid gaudy makeup or heavy jewels for this particular look. 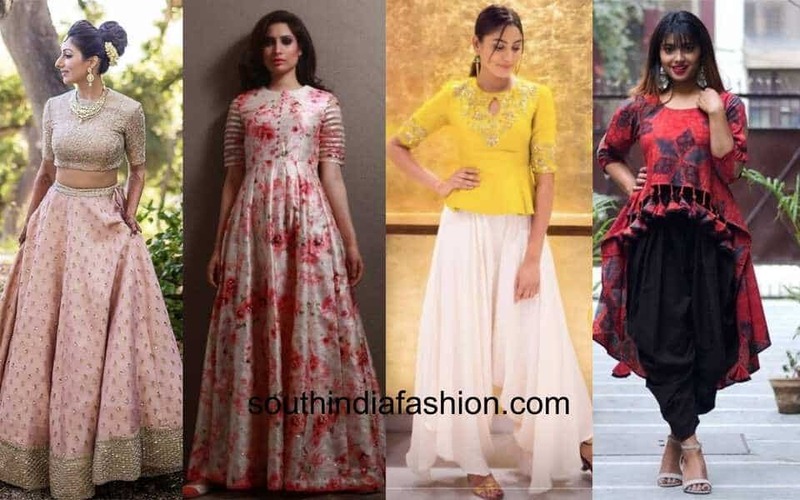 These are all the Indo-western outfits that are apt for any desi festive occasion.